We are Green Bay and surrounding counties' premiere Tree Service Company - our past clients and reviews demonstrate that. We have great records with the HomeAdvisor, Better Business Bureau, and Angie's List. Also, we have a professional staff and the best equipment in the industry. We take pride in our work and strive for 100% customer satisfaction. 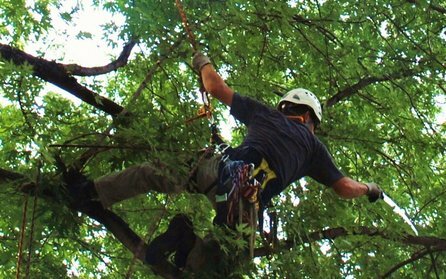 We consider ourselves a service company that just happens to do tree service work. We provide tree service Green Bay residents have trusted since 2001. Our certified arborists and tree care professionals have the knowledge and experience to not only know what is best for your tree, but your entire landscape and how your tress fit into the landscape. We consider each tree as part of your landscape and take the time and effort to care for it in keeping with your entire landscape. Our professionals not only have experience with tree care, but landscape design and maintenance. Safety comes first at Green Bay Tree Service. Of course we are licensed, insured, and bonded – assuring you of zero liability during our time on your property. We are happy to provide this information to you as evidence of our professionalism and conscientiousness. Also, we provide worker’s compensation to all of our employees as well as benefits to our full-time staff members. We also employ the best equipment in the area. From our cranes, cherry pickers to our chain saws, all of your equipment is properly maintained and first-class. With benefit of this equipment, we can handle much large trees and jobs than our competitors in the Green Bay area. However, when our customers prefer we not use some of our more heavy equipment due to potential damage to their landscape, we are more than capable and able to perform 100% of our service with nothing more than safety climbing harnesses. There are times when our heavy equipment will just not fit into a customer’s backyard; however this does not prevent us from safely and efficiently performing the tree care service. We take pride in providing these types of options and alternative to our customers. 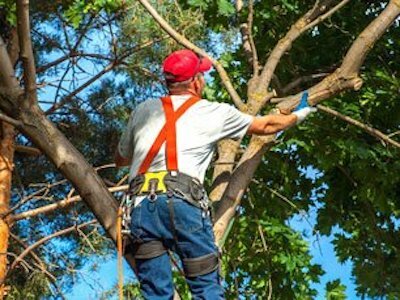 We understand our potential customers have options when it comes to tree care providers, to include tree companies going door-to-door offering deals given they are in the area. Please be warned: many, if not most, of these “companies” are not license, bonded, and insured. Further, they rarely afford their staff with worker’s compensation creating a potential significant financial and legal liability for their customers. So please be aware of the risks you may expose yourself to when consider they types of tree service businesses. We service all property types: residential, commercial, investment properties, and large-scale residential/commercial developments. We not only pride ourselves on our quality service, but also our ability to scale to these different sized jobs. We do all of this work for fair prices and 100% satisfaction guaranteed. We also take pride in our professionalism in our business dealings. We show-up when we say we will, provide the estimate at the time of request, schedule and stick to our appointment schedules, and stand-by our work with a 100% customer satisfaction guarantee. We are happy to work on the smallest to the largest jobs, nothing is beneath or above our ability to support our customers. Please consider Green Bay Tree Service for any and all tree care needs you may have. We appreciate your business and promise to earn it. Below is a summary of all of our tree care services. We have more detail on each one of our services areas under the Service menu at the top of this page. There are a variety of reasons a tree may need to be removed. It may be dying or dead, creating a hazard to you and your property. It could be diseased, such as with canker rot. A tree might be damaged by a storm rendering it unsafe and unsightly. It might be over-shading part of your yard and landscaping preventing any growth of grass and plantings. Or, it could be overgrown threatening your home and other property assets. By the way, please note that most homeowners’ policies will deny tree damage claims if it is discovered the tree’s branches were in physical contact with your home. Green Bay Tree can remove any tree, no matter what the reason. We have removed virtually all species and sizes of trees in the Green Bay area and greater Brown County. While tree removal isn’t rocket science, it does involve planning, experience, and skill, especially when nearby property structure are in close proximity. No matter the situation though, Green Bay Tree can safely remove any tree regardless of the situation. Our tree removal process begins with one our tree service professionals coming to your residence or business to assess the situation. At that time we will provide you with our approach and a firm price quote on completing the job. Further, we will schedule the job while on your premises so you can be assured of it’s compete by a specific date. Within our service quote will be all the work necessary to fell the tree, cut it up, stack or remove the wood, and complete clean up of the area, as if we were never there. We will either use or heavy equipment, or if you would like or the situation demands, we will perform the work with safety harness climbing alone. Throughout the entire job, we will have a ground crew to ensure safety and constant clean-up of the area while the tree is being removed. We use our chipper, which is always stationed on the street, to dispose of small branches and debris. When we leave that day – almost 100% of our tree removal jobs are completed the same day – you will never know we were on your property, except for one less tree. 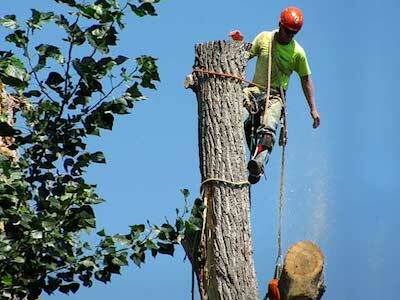 Tree removal is our top service offering. Drive around your neighborhood, most trees could use a good trimming, or at least a minor pruning. Nothing can improve the look and health of a tree than regular, professional trimming. Most homeowners neglect this aspect of tree care, yet it can make all the difference in the world in your landscape. Similar to our tree removal process, we will meet with you at your property to discuss your needs as well as provide our expert advice. We will provide a firm price quote and set a date/time for the work to be completed. We will use heavy equipment if possible but if not, we are more than happy to trim using only safety harnesses. We will maintain a ground crew to ensure safety and keep the work site clear of limb, branches, and debris. We use our street-stationed chipper to dispose of all branches and limbs. During the entire process you are more than able to guide our efforts so your tree trimmed to your satisfaction. When the job is completed, your tree(s) will have renewed beauty and health, and your overall landscape will be noticeably improved as well. Of course, when we leave you will never know we were there. 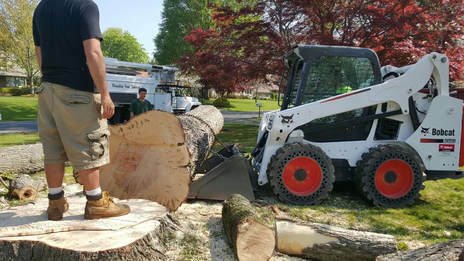 After we have removed your tree Green Bay Tree Service can optionally grind the stump. Most stumps are eyesores and distracting from a landscape perspective, so they should be removed for aesthetic purposes. More importantly, tree stumps can be very inviting to a plethora of insects, such as ants, bees and termites, so they can be hazardous as well as unsightly. We have first-class stump grinding equipment to manage any size tree stump, from the smallest to the largest. Regardless if we removed your tree, let us remove the stump for you. The job, while messy, can be done quickly and with little impact to your landscape. As with all our work, one of our professionals will come to your home or business to assess the nature of the stump removal. We will provide you with a firm price quote and schedule the date/time to compete. 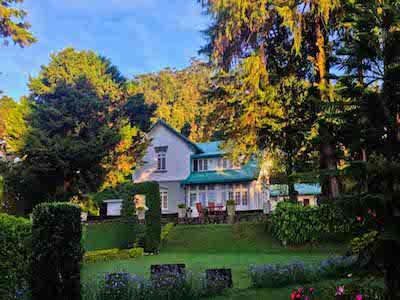 We also offer additional services in this area, such as grass seeding and sod laying to re-plant the area as well as multiple stump discounts. Most people consider stump grinding a commodity service – it can be done by anyone so price is all that matters. However, at Green Bay Tree Service, we take the time and effort to turn a messy job into a professional tree care service, restoring your landscape to it’s former beauty. Further, we will re-use the chips in an environmentally green method by using it as mulch, firewood, or compressing into wood pellets for burning. Please give us a call for all your stump removal needs. Storm damage can be significant to your landscape and especially your trees. Please call Green Bay Tree 24x7 to deal with your emergency needs when you are affect by storm tree damage. We will be quick to respond and work tirelessly to clean up felled or damaged trees, downed limbs, and all other tree debris caused by inclement weather. We provide this service around the clock and seven days a week, because we know storms have no sense of time. As a full-service tree company, we have the experience, equipment and staff to quickly restore your home and landscape to it’s former beauty after a storm. Green Bay Tree Service is one of the few in the area capable of these types of large-scale jobs. Lot clearing and even larger commercial land development clearing is a job for only the most professional tree service companies. We have all the heavy equipment necessary to make short work out of even the largest clearing jobs. We approach these jobs as we do all of our work, one tree at a time, but in these jobs’ cases, with a larger eye on the big picture – clearing multiple acres quickly and efficiently. We also work on small clearing jobs, such as just backyards or smaller single residential lots. Because of our equipment and experience, we can quickly perform these small jobs at a fraction of the cost most of our competitors charge. Please contact us for any and all lot clearing needs you may have – we are the #1 choice for these larger-scale lot-clearing jobs. Naturally, we also have plenty of seasoned, aged firewood to sell. We carry most types of hardwoods suitable for wood burning. Call us today to arrange for delivery and stacking of the best firewood money can buy. Additionally we offer firewood pick-up as well at a savings over delivery. Our only goals is to provide 100% customer satisfaction.